(TibetanReview.net, May08, 2016) – China was reported to have sent in the security forces after more than a hundred Tibetans staged a sit-in protest on May 4 over a Chinese company’s resumption of lithium mining work at a site in Dartsedo (Chinese: kangding) Prefecture of Sichuan Province. The company was reported to have been found to be responsible for causing severe pollution in three previous incidents at the site since 2011, which led to mining work being postponed, reported voatibetanenglish.com May 7. 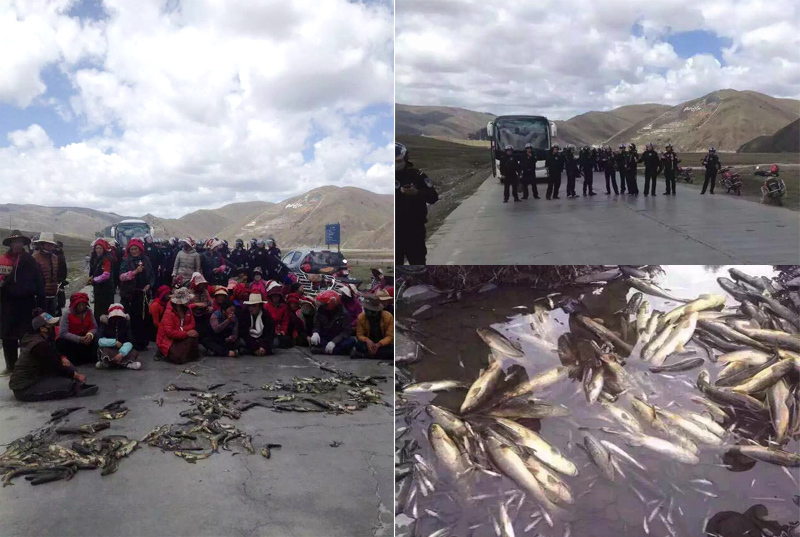 The Tibetans staged the protest after there was a massive death of fish in the Lichu River, a tributary of Yangze River. Mining at the Yulshok Gargye location in Minyak County’s Lha-gang Township was said to have been put off since 2013, after an official investigation linked pollution from the mine to large-scale deaths of aquatic life. Earlier, in 2011, pollution caused by mining work at the same site had triggered a large-scale death of fish and some domestic animals as well, prompting protests by local Tibetans. The latest resumption of mining work was said to have occurred despite the fact that in 2014 three Tibetans had petitioned Beijing, asking for a ban on mining in the area. The situation was reported to be tense with the security forces facing the Tibetans who were carrying on the sit-in protest.